Dracula and his guest in COUNT DRACULA. Severin Films new COUNT DRACULA Blu-ray may be my favorite Jess Franco related release by them in 2015. It's not as good a film as VAMPYROS LESBOS (1970), another stunning Severin HD release this year, but seeing it in HD lets us see it as never before possible. An overriding fact for me is the US Home Video debut, also in HD, of Pere Portabella's experimental making of documentary, filmed during the late 1969 Barcelona shoot, is included in the release. This alone makes this a must-have for serious collectors. Followers of Spanish genre cinema, Dracula adaptations, horror film history, international experimental cinema and the parallel careers of Jess Franco and Portabella are given a convenient way to compare and contrast two very different works by two very different filmmakers on the same subject. Franco and Producer Harry Alan Towers set out to make a faithful adaptation of Bram Stoker's famous late 19th Century novel. With an enthusiastic Christopher Lee, Hammer's Dracula, on board everything should have went right. But what remains is problematic as a "Jess Franco film", a horror film, a DRACULA adaptation. As horror historian David Del Valle notes in his detailed commentary, Franco "did" DRACULA with the later VAMPYROS LESBOS, a supposed adaptation of another Stoker story. * For my taste, both DRACULA CONTRA FRANKENSTEIN and LA FILLE DE DRACULA (1971), featuring Howard Vernon as a shriveled, cartoon Dracula, are closer to the mark. Why is this? Schrek, Lugosi or the swashbuckling Dracula in the Hammer films starring Lee. Severin's HD presentation gives the film greater sharpness and more enriched color than all previous home video releases. The high definition detail is extraordinary and focuses attention on the very artificial looking cobwebs seen throughout the castle, the overhead wire mechanism which drives the bats and makes the suddenly revived stuffed animals which the heroes encounter at one point seem less menacing than ever. Franco's famous crash zooms seem to be utilized for mere convenience, to avoid the time it would take to do additional set-ups, rather than the space-collapsing devices which give such films as DRACULA CONTRA FRANKENSTEIN a compellingly abstract, almost post-modern quality.The jarring telezooms into coffins, landscapes and objects seem to announce a personal stylistic choice in that film rather than a cost and time saving measure, although they probably were also used for that reason. Hammer's Dracula films always looked lush and more well resourced than they actually were, EL CONDE DRACULA looks rather tattered in comparison. The obviously fake boulders thrown onto the gypsy caravan and the burning of Dracula in his coffin throw us out of the movie at a crucial moment. The film ends in a flurry of more shaky telezooms. The brooding, symphonic, urgent Bruno Nicolai score creates most of the atmosphere throughout and makes up for the visual awkwardness of many key scenes. The living dead girl manner of Soledad Miranda is electrifying in the scenes she shares with Lee and provide memorable frissons. Franco himself seems rather dispirited in his appearance as the clinic employee. Perhaps that's because the director himself was becoming deeply disillusioned with his work for Towers, the film's co-writer and co-producer. Franco was obviously becoming frustrated and bored as an employee of the Towers film factory. 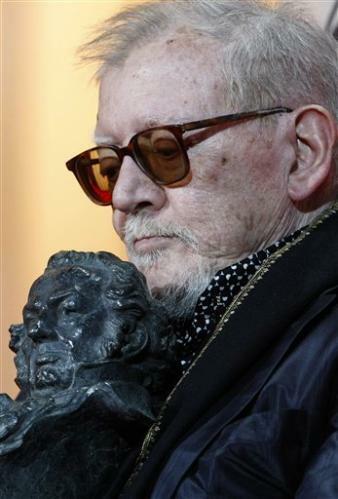 Just compare his energized presence as the inquisitive writer in EUGENIE DE SADE (1970), made just before this film and without Towers overseeing the production as writer-producer. It comes as no surprise that COUNT DRACULA would be Franco's final directing job for Towers. The factory process of commercial filmmaking in Spain during the horror boom would become an even more interesting subtext in Portabella's intriguing experimental documentary on the making of EL CONDE DRACULA. Franco struggled to make a personal film while remaining true to the source material, but Portabella's unique film deconstructs both the final product and workaday production of it. Franco did bring considerable artistry to the final product but CUADECUC-VAMPIR, opens up the actual shoot, infuses it with an eerie, abstract poetry and provides another subtext, that of making a commercial horror film on an iconic subject in late 1960s Spain still ruled by the dictator Francisco Franco. 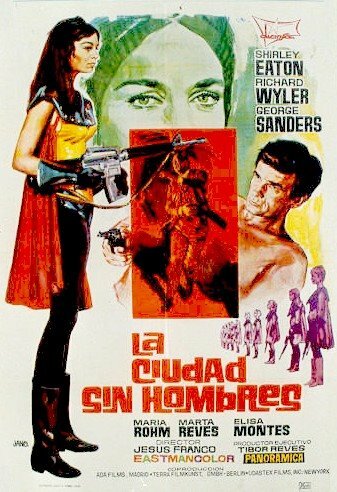 Spain welcomed international film productions in the 1960s as a way of increasing cultural exchange, boosting an uncertain economy and bringing foreign investment in the national coffers. Parts of DR. ZHIVAGO and Sergio Leone's wildly successful Spaghetti Westerns used Spain's desert and mountain regions as a ready made exotic backdrop. Costs were low there and the locals were grateful to get steady work on US, Italian and other co-productions. Portabella, who had produced Bunuel's notoriously banned (in Spain) VIRIDIANA (1961) had already rattled the authorities there, and he was much more subversive in every regard than EL CONDE DRACULA's director at the that time, although when Franco later cut himself loose he would evolve into a master of subversive genre cinema from the 1970s onward. ABOVE: Not produced by Hammer Films, of course, but an interesting mistake. Portabella shot his film in high contrast black and white, sometimes the image goes into negative, creating a further sense of unreality, projecting the footage of the shoot into an alternate dimension. It chronicles the shoot in roughly sequential order but selects key scenes and then shoots them simultaneously to the actual production from different camera angles, sometimes revealing the cast and crew (including Jess Franco) as they go about their work. Soledad Miranda looks directly into Portabella's camera and flashes a demure, somewhat chilling smile. Christopher Lee mugs for the camera and seems to be having a good time on the set as he reaches out toward Portabella's camera as if to grab it while a jarring sound is heard on the soundtrack. Most importantly, Portabella, like Murnau, understood that the story of Dracula was best told without words, the stumbling block in the Lugosi version. The best moments in the Hammer Dracula's were the wordless moments of menace just before and during the appearances of Lee's Count. It should be noted that Franco's DRACULA CONTRA FRANKENSTEIN contains no dialogue during its opening scenes and most of of its runtime. What dialogue there is is functional, delivered with dispatch and minimized by the director and actors. The use of sound is quite unusual and distinctive. Most of the footage is either silent or appears with music, loud crashing sounds, creating a soundscape which operates in counterpoint to the images. Footsteps are heard but they don't quite synch up with the footfalls in the scene, a train is heard but it doesn't seem to be the modern one seen suddenly cutting across the screen. The arrival of Harker by coach in Transylvania is here scored with disturbing crashing sounds while the arrival a 1960a black American sedan, delivering Maria Rohm on set clad in a stylish floppy hat, leopard skin coat and movie star sunglasses is accompanied by dreamy jazz. The black and white images have a very grainy texture, enhanced by the 1080 HD resolution. A very different version of the novel unfolds in Portabella's footage, one which somehow is much closer to the tone of the original prose than Jess Franco's finished version. Capturing a sense of dread between the shots of the actors in informal groupings or preparing for an imminent shot. The final scene bursts into synchronized sound as Lee reads the final lines of the novel, in which the destruction of Dracula is described. Set in the actor's dressing room, he addresses the audience directly, speaking of the economy of the prose and notes some of the descriptive details. The destruction of Dracula in the is, of course, quite different, replacing it with the burning of the Count in his coffin after which the body is dumped over the castle walls. The staging, shooting and editing of the scene leave much to be desired and one is struck by how simple and superior the actual ending is as Lee reads them in his resonant voice. He then closes the book and stares into camera for an unnervingly long time before Portabella is heard calling, "cut"! Those few lines are really all that is needed to make an effective closing scene. Lee and Portabella obviously had a much better sense of the what made the novel so haunting and memorable than did the writer and director of EL CONDE DRACULA. 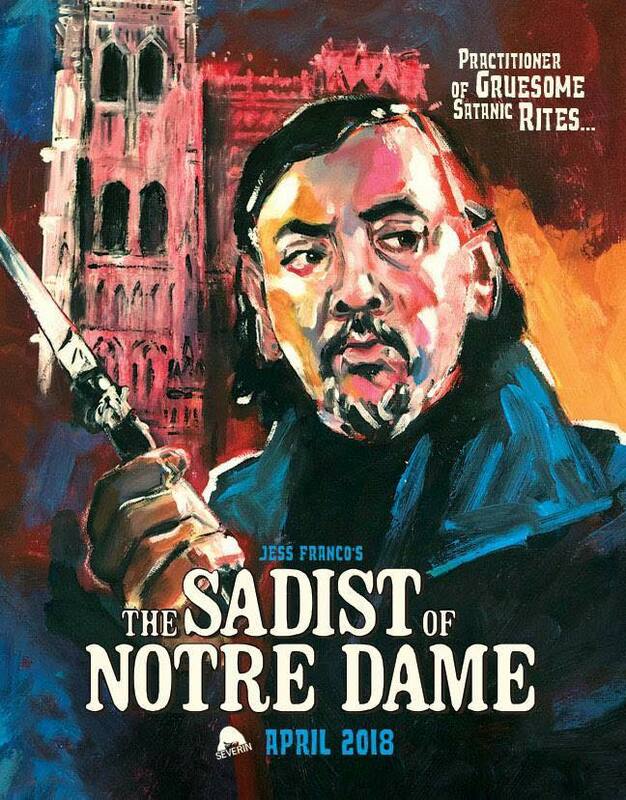 That's why this HD release of both films is so essential for those interested in the novel, the history of Dracula films, Spanish horror, experimental cinema and the career of Jess Franco. It's been a very good year for DVD and especially HD releases of Jess Franco films. Please vote for your favorites of 2015 by clicking on the Poll at the top left. We'll be announcing results on 1/2/16.